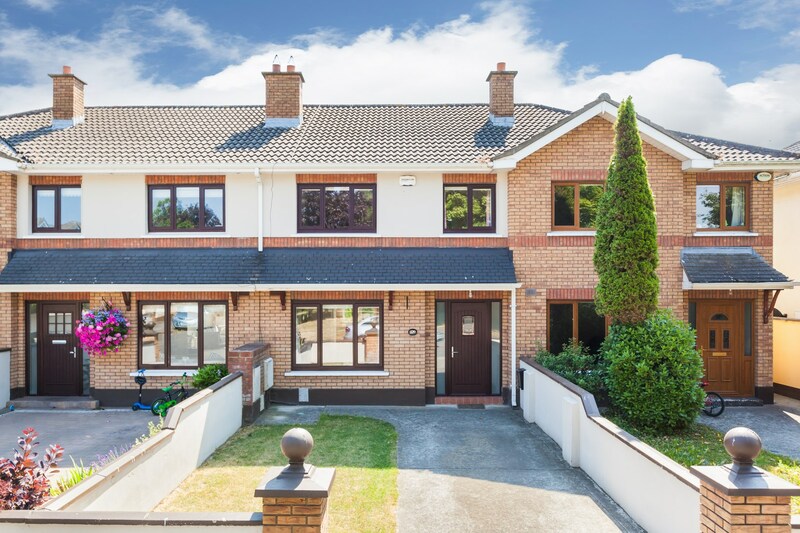 Number 179 is a pristinely presented three bed family home located in the ever popular Charlemont estate on leafy Griffith Avenue. 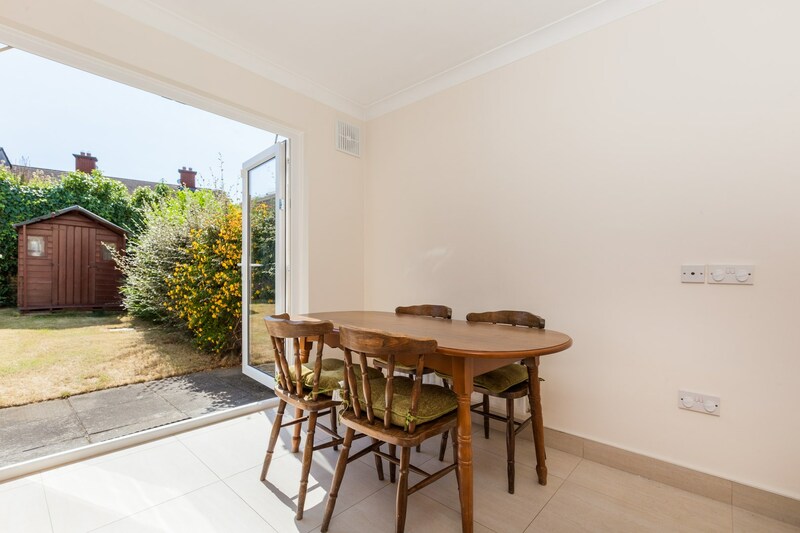 Tucked away in a quite cul de sac, the property is not over looked from the front or back creating a very private atmosphere in the house and garden. 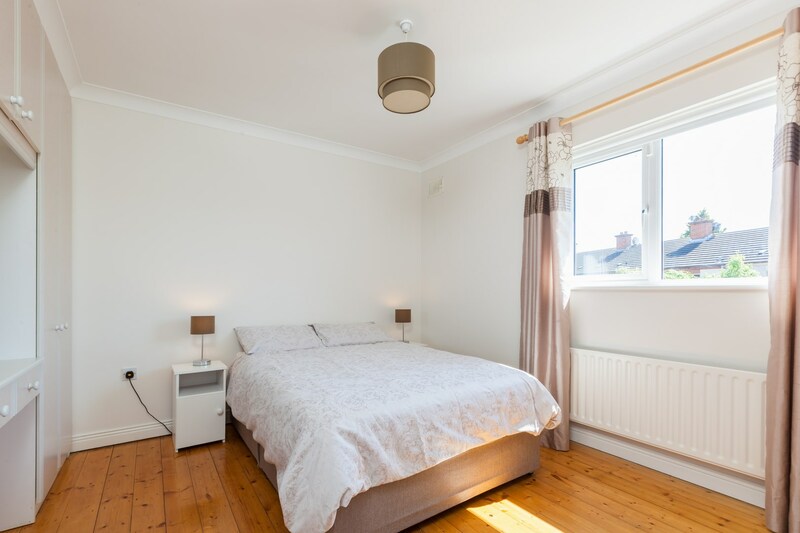 The home has been extensively refurbished in 2015. New windows and doors, a new fitted kitchen and appliances, a new boiler(boiler in 2008) and new flooring throughout. First impressions are of an attractive redbrick façade and pretty front garden . Off the hallway a spacious living room with coal effect gas fireplace. 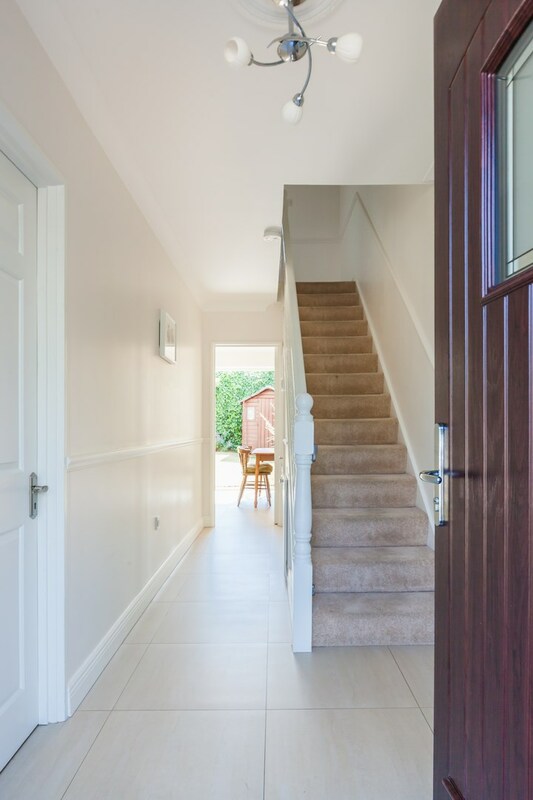 The bright Hallway leads to open plan kitchen and dining room with double doors to patio and rear garden with a shed. 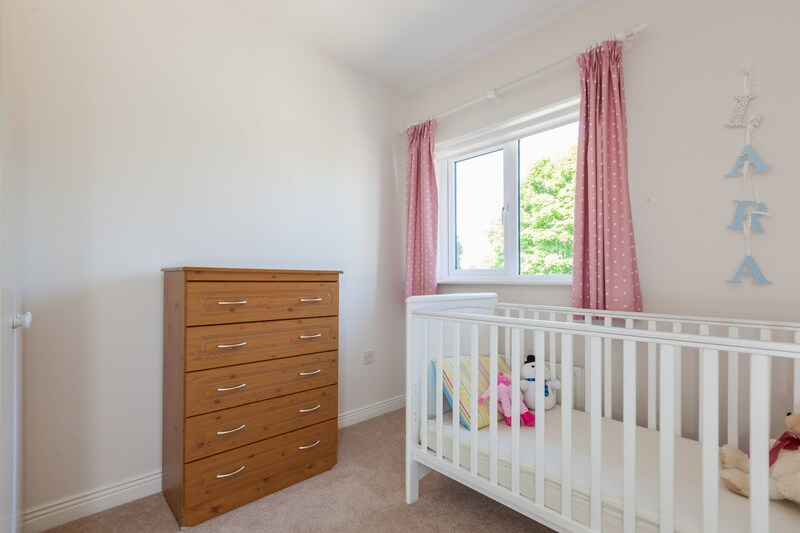 Upstairs there are three bedrooms with fitted wardrobes and a modern family bathroom. 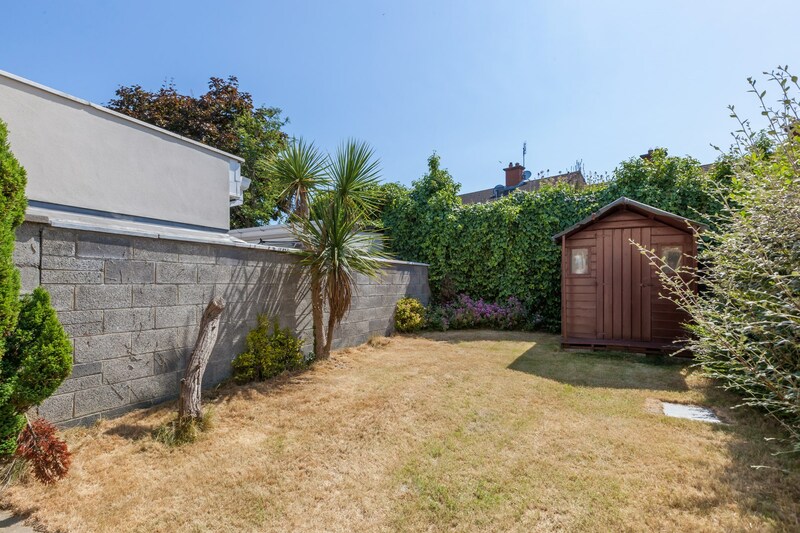 The rear garden is Completely secluded and south facing with a Garden shed. Off street parking and visitor parking to the front. 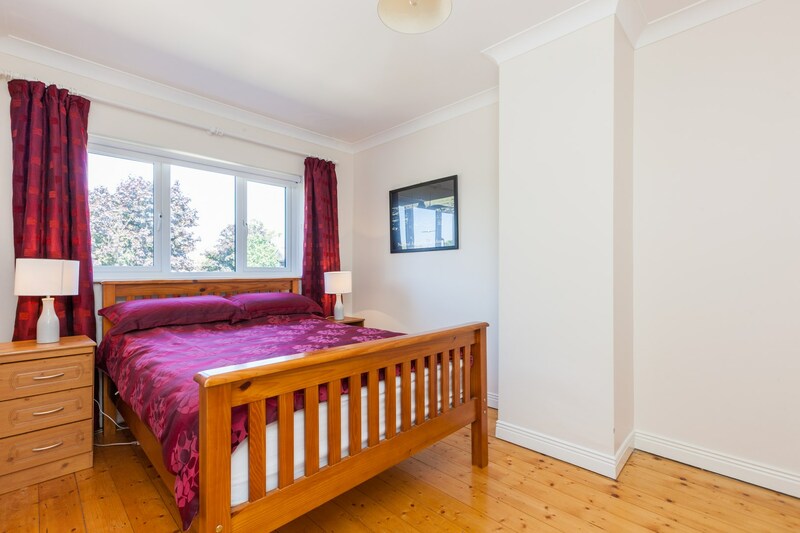 Using the Pedestrian access near the house, the Malahide road is a short walk away. 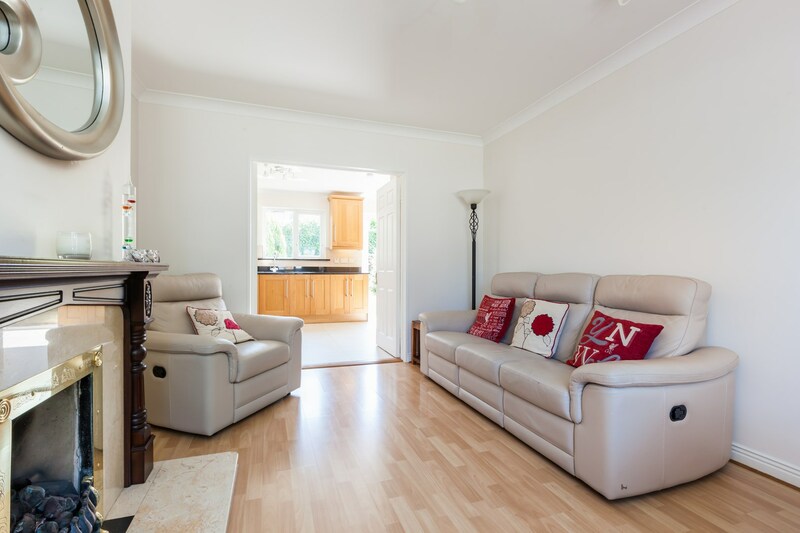 The area is convenient to renowned schools, clubs, golf courses, shops, restaurants and minutes from the city centre. Hall	4.92m x 1.69m	Polished porcelain tiles, understairs storage, ceiling coving and rose. 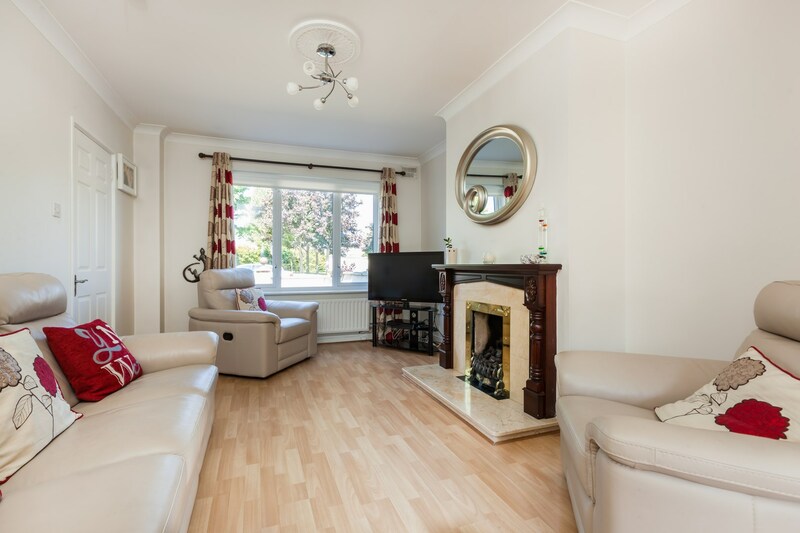 Living Room	4.53m x 3.35m	Gas fire, ceiling coving and rose. 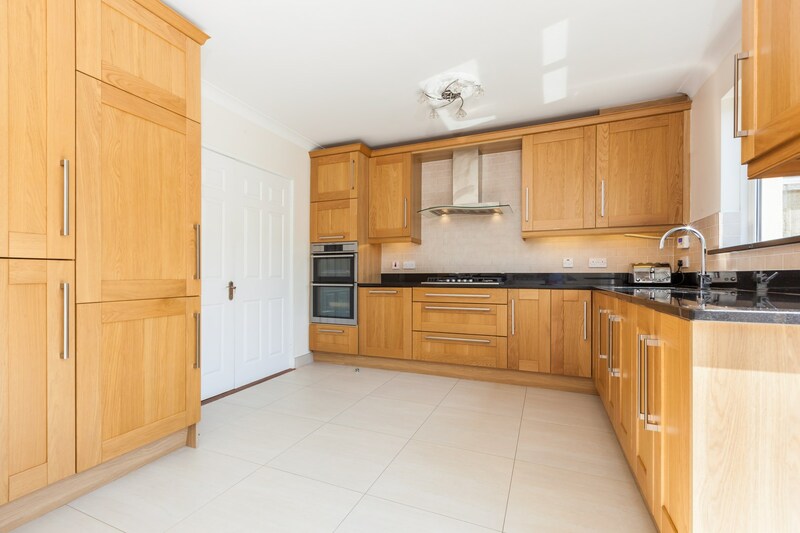 Kitchen/Dining Room	3.46m x 5.22m	Solid wood fitted kitchen units, integrated appliances, fridge freezer, gas hob, microwave, double oven, washer/dryer, double doors to garden. Bedroom 1	4.43m x 3.06m	Fitted wardrobes, exposed original wood floorboards. Bedroom 2	3.22m x 3.06m	Fitted wardrobes, exposed original floorboards. Bedroom 3	2.70m x 2.30m	Fitted wardrobes. 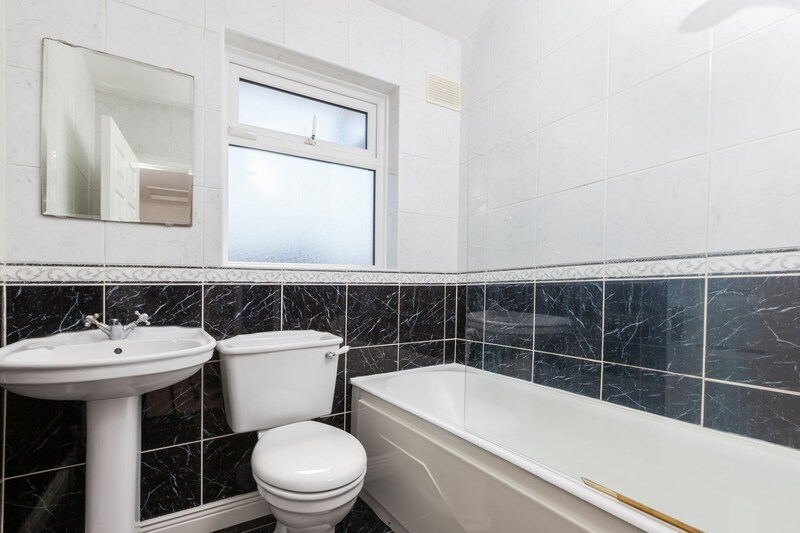 Bathroom	1.65m x 1.96m	Fully tiled, shower, bath, whb and wc.